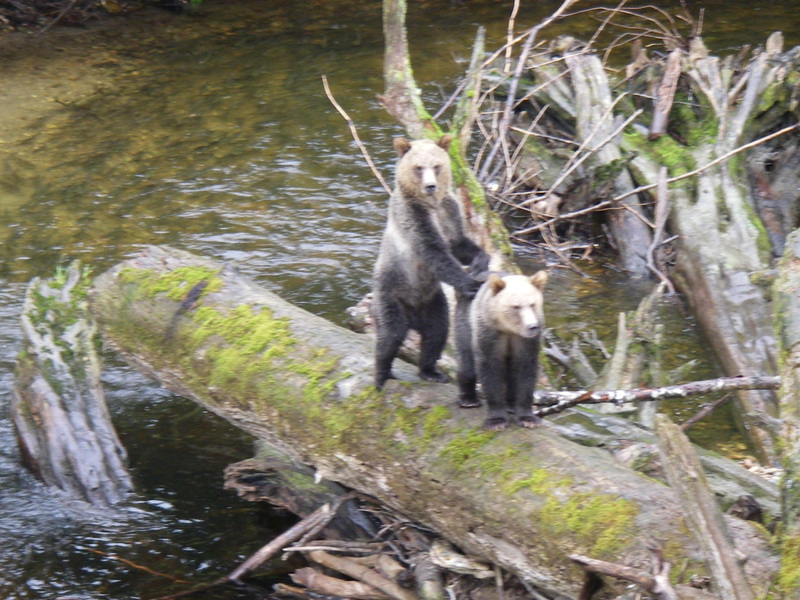 These grizzly siblings are in the natural river next to the finger viewing stand use by the lodge when on the fall grizzly bear tours in Knight Inlet BC. Siblings will often stay together for several years after leaving their mother and form a close bond. 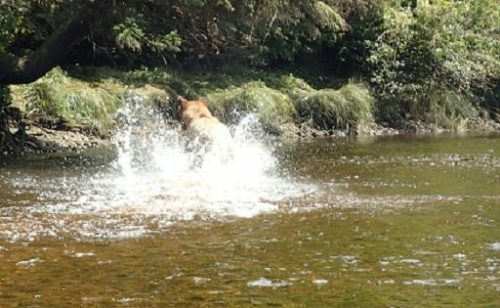 They are on the beach in the spring turning over rocks and fish the river in the fall. As shown they keep an eye on other bears in the area and use the fact that they are “two” to intimidate other bears of a similar age.